I guess everyone loves the compliment of being told way younger than their real age. Rohanna Hussein, who is in her 60 and a mother to 3 children, has experienced the same too! She believes that everyone deserve to look younger and retain their youthfulness. 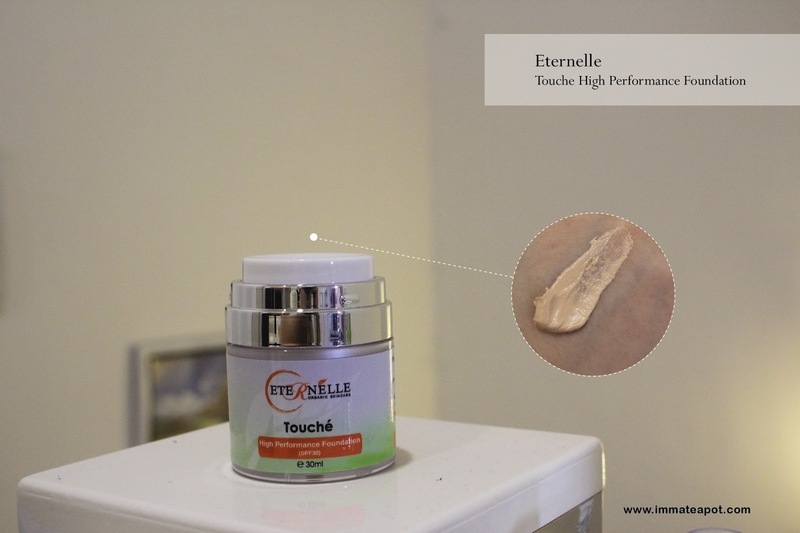 Hence, she has started her research journey and finally founded her own skincare series - Eternelle Organic Skincare. She wants to accomplish everyone's dream of loving and be proud of their own skin, need not any makeup beneath and look confidence even without makeup. Regardless on age or gender, with Eternelle, beauty is lasting and timeless. In addition, everyone can afford the price of beauty. In the Eternelle range, they highlight on eco-friendly and organic, not only the ingredients itself but products which are refillable! The packaging itself features the nature too, with green complement with white on the simple plastic material. Not to talk too much on the introduction and back to the products! 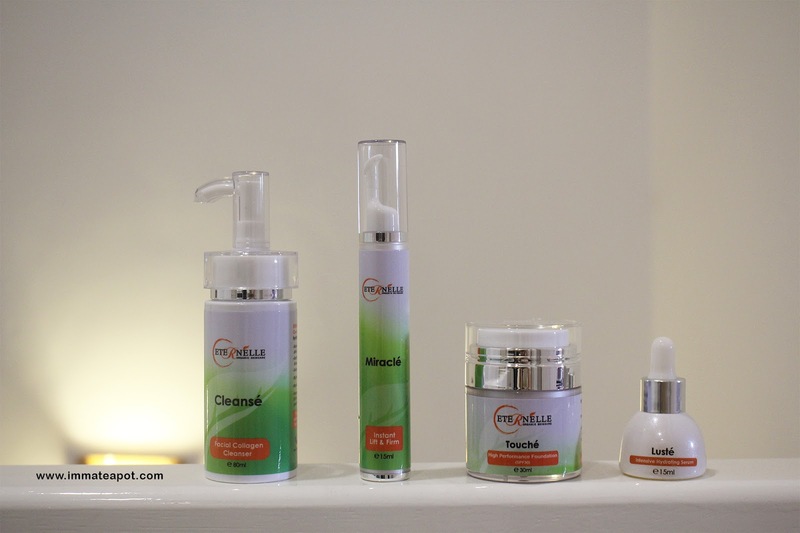 In this post, I'll be reviewing the products of Cleanse, Luste, Miracle and Touche, with only 4 simple steps of daily facial regime. 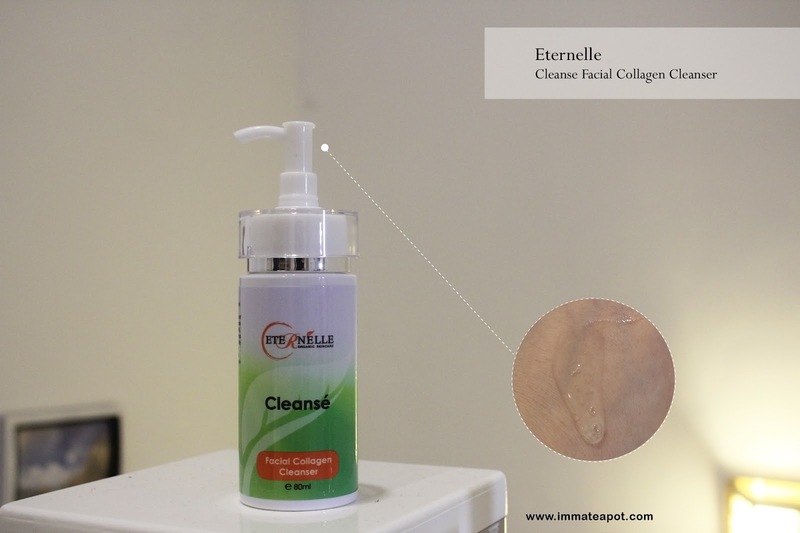 CLEANSE Facial Collagen Cleanser, it is just my favorite as in the previous post I did mention that I am totally not a fans of foam cleanser, but gel cleanser. Cleanse comes in a foam-less clear gel texture, which is really light and really soften my skin. I really love the scent of the gel, with fresh and sweet floral aroma, with some hidden touch of green tea. Cleanse is formulated with collagen that helps removing makeup, oil and impurities on the skin, while getting our skin moisturized and revitalized. I guess it works perfectly as a double cleanser on my skin! It really helps removing some light foundation makeup, that completely remove some impurities that left out from our first cleanse with makeup remover. 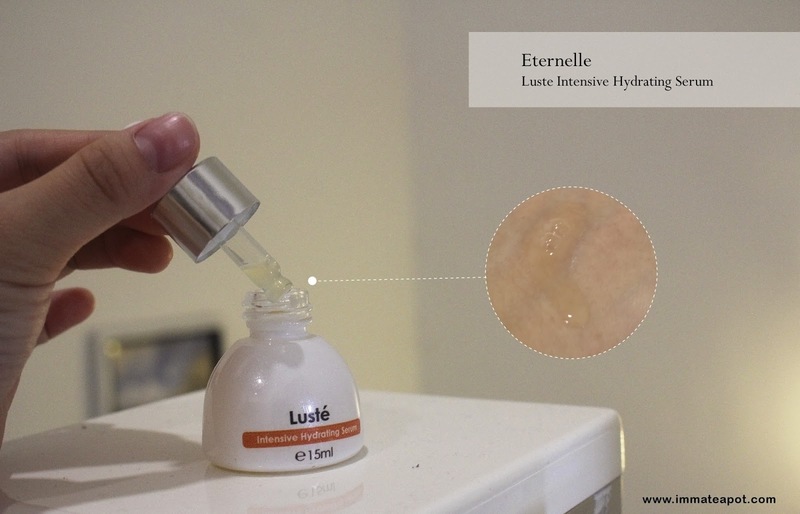 LUSTE Intensive Hydrating Serum comes in a very lightweight slight yellow-ish gel texture, yet much in a dilute liquid form. I am quite surprise that the serum penetrates swiftly into the skin, without leaving any unbearable stickiness or oiliness on the skin. It just prep my skin from further application of moisturizer and hydration cream. 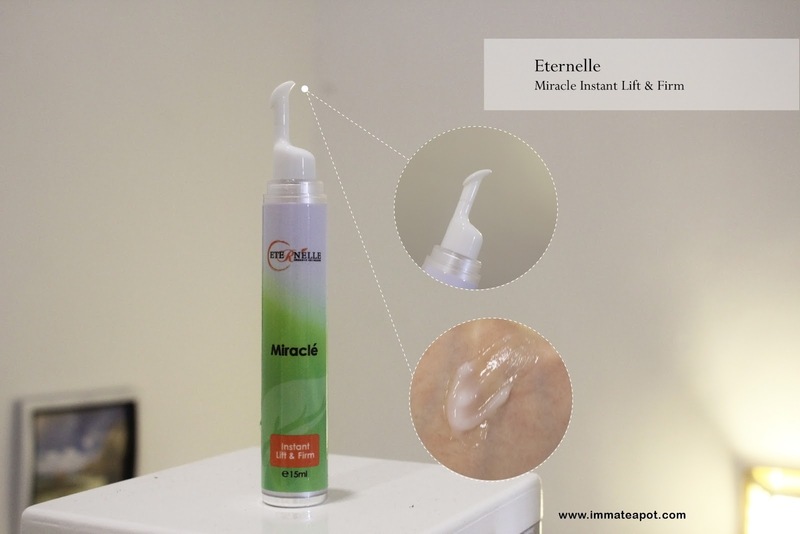 MIRACLE Instant Lift and Firm comes in a much clear white creamy texture, with a light scent of herbal aroma? The main ingredients will be Bee Venom that helps in firming the skin while reducing the fine lines. 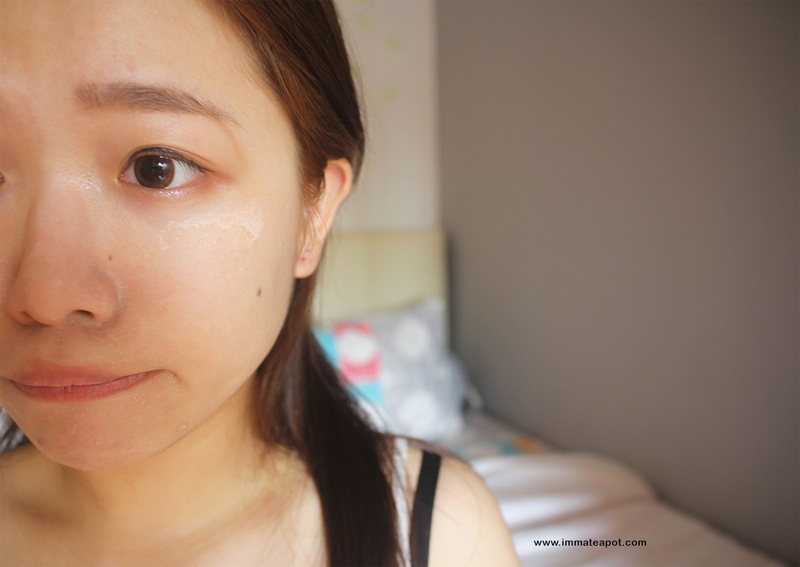 It is equipped with a applicator, which I guess it works just well around the eyes area, super gentle that helping in massage and letting the active ingredients to penetrate more. Obviously, my skin looks way glowy and healthier after the 3 steps of skincare regime. My skin look even firmer and supple too! Last but not least, TOUCHE High Performance Foundation SPF30 is just perfect for our hassle morning! It provides 5-in-1 effects to the skin from pre-aging, anti-aging, revitalizing, firming and sunscreen. Foundation that works like a skincare too! Benefits aside, it comes with a common tone yet the texture does not impress me at all. It is way too dilute and sticky, while containing some graininess within. 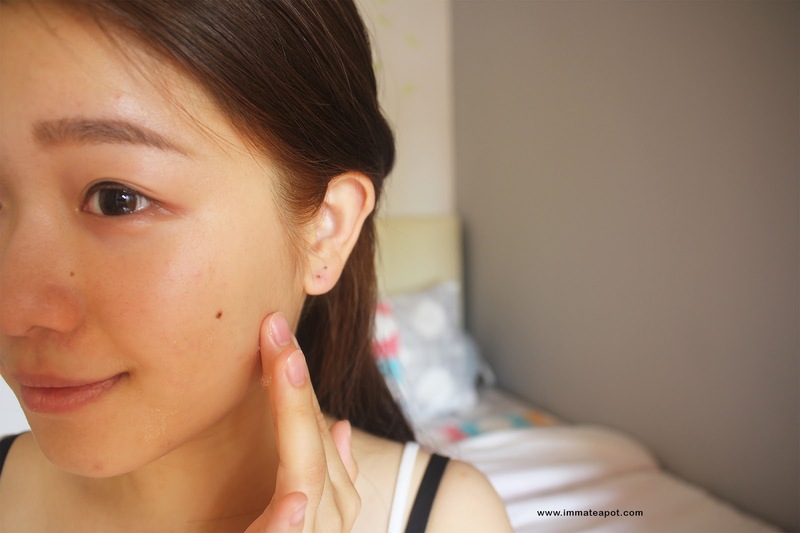 From my own view, the foundation shade is just fine as it can complements various skin tones. Yet, it is not smooth enough to be evenly spread on the skin where it causes patchiness on the skin. It reminds me the texture of dough? It forms lines even when I am spreading off with my fingers. Perhaps there will be some enhancement on the formula and texture. Somehow, I would advise to apply part by part on the face, start with a tiny pump (10 sen). Surprisingly, it forms a very thin and airy foundation layer on the skin! 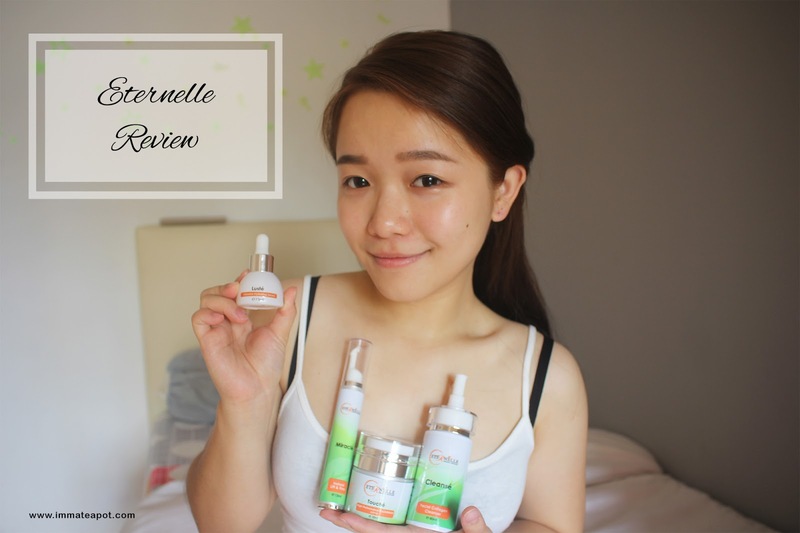 Overall, if you're looking for affordable and organic skincare products, Eternelle might be a great choice for you to start off with. New brand? It look cool skin care item. You skin look good! this is new to me, I dont know of this brand. looks like it is suitable for you to use. Organic skin care? Sounds good to me, though first time hearing of this brand. Yes, I'm looking for an affordable range of organic skincare. Thanks for introducing! Hydration is always the key for a youthful glowing skin. thanks for the introduction!! i tried organic collagen cleanser but never try this brand before. Wow. nowadays so many new range of products and like for every thing they are some good product. imma little teapot, short and stout.. hmm. everytime come your blog sure makes me think of that song. wow, an spf30+ foundation? so good, can go out in the harsh sun and know you're protected. The packaging looks so cute. Above all, it is organic. I love organic products. This product is good as it organic and safe to use on our skin. I share this with my sister too. I have not try this brand yet, the foundation packaging is quite cool. When I read "Rohanna Hussein, who is in her 60", I immediately looked at your photo right below that paragraph and was thinking, "how could this young pretty girl be 60?" lol, my bad. Anyway, you look so pretty. As for the product, being organic is a big plus point I believe. Furthermore the SPF +30 for TOUCHÉ High Performance Foundation is a good selling point in a hot country like Malaysia.